Shoot straight and true with the Barska® Huntmaster Silver Finish, 3-9x40mm, Rifle Scope. Fully coated optics and parallax-free viewing at 100 yards give you the essential features you need for general purpose hunting as well as target shooting and plinking. The tough 1" single-tube construction with distinctive silver finish gives you high-recoil capability along with waterproof, fogproof performance. 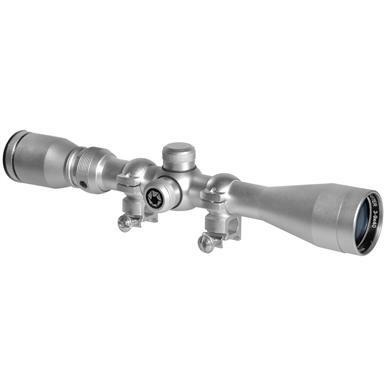 Barska Huntmaster Silver Finish, 3-9x40mm, 30/30, Rifle Scope is rated 4.4 out of 5 by 12. Rated 5 out of 5 by Captneil from Easy to use Scope is very clear. High turrets made for easy adjustments. I would highly recommend this scope. Rated 4 out of 5 by Rick from Decent scope for the money Good things are that it comes with rings so it's easy to mount, and it looks pretty good. The finish is a little "shinier" that I thought it might be, which means it doesn't match a nickel receiver very well. My biggest issue so far is that it's been a little tough to get it focused so that I have a sharp reticle and am able to get what I'm looking at 50 yards away to be clear enough that I can see the edges of lines on my target. So far I have had to settle for one or the other. I need to work on that a little more, which means part of the problem "might" be me.... But having said all that, for 50 bucks you can't complain! 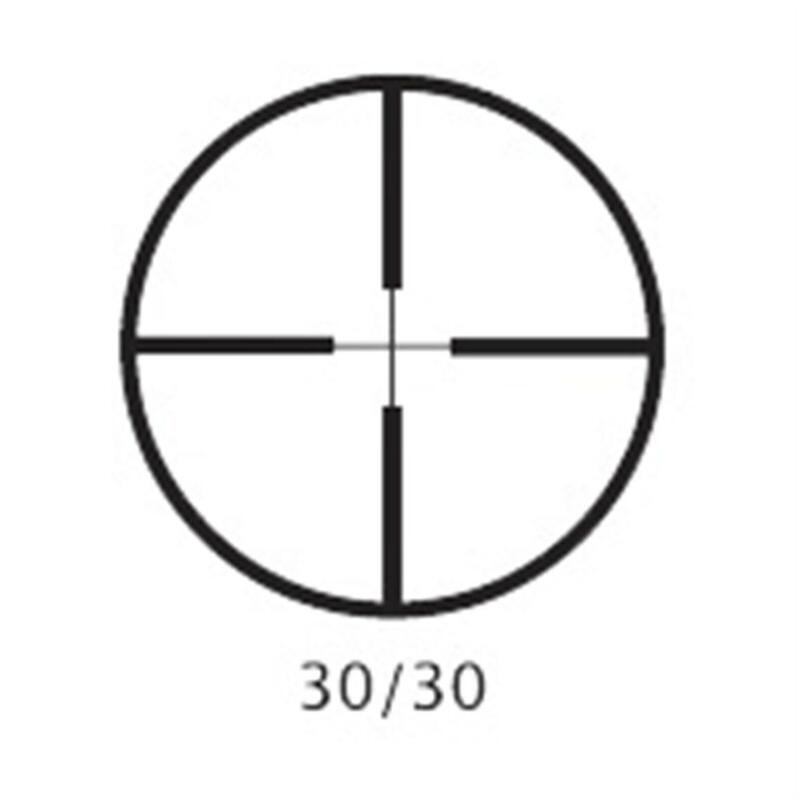 Rated 3 out of 5 by cwkann from Good price but will have to return The reticle will not adjust far enough to the left to make center. Will be sending back. Hopefully the next one will work correctly. Rated 5 out of 5 by jameskirkl from Great Scope! Scope came packaged better than the Nikon I ordered a few days before. Looks good, and holds zero. A good value! Rated 4 out of 5 by boovuc from It Works! Mounted on a 580series Mini 14. Looks Good. Is holding zero well. 7x to 9x is iffy but all scopes in this price range aren't the best at hi magnification. Cheap rings but all in all, not a bad scope. Rated 4 out of 5 by Riverscott from Good Value I installed this on a older stainless Ruger 10/22 - worked just fine. It is not a super high end scope in overall quality but I didn't pay an arm and a leg for it either. Works just fine at 100 yards and my son says it looks really nice too - caught some shooters' attention at the range.